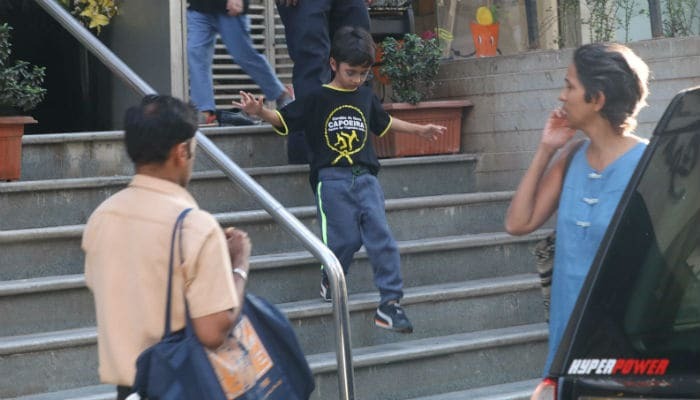 Aamir Khan's six-year-old son Azad, who cries while watching his superstar father's films, is learning to toughen up! Little Azad is attending classes for Capoeira, which is a branch of martial arts which also includes acrobatics, dance and music. 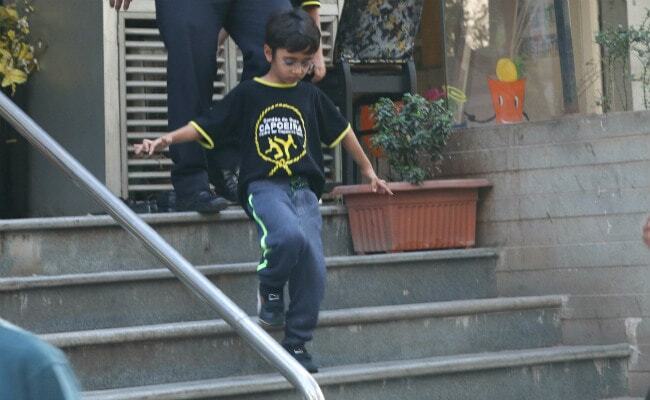 Azad was recently spotted outside a Capoeira school in Mumbai's Khar and was every bit adorable. After the class, Azad was spotted making his way down the stairs with much carefulness and then being escorted to the car. Azad, who was born via surrogacy in 2011, is Aamir Khan's son with his second wife Kiran Rao. Aamir also has two children with his first wife Reena Dutta - Junaid, 23, and Ira, 19. 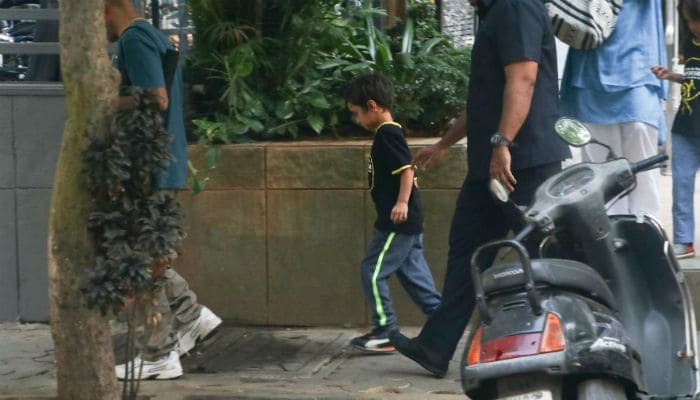 Just like Shah Rukh Khan's son AbRam, Azad too makes regular appearances with his father on Eid every year but he's not so much of a regular on film sets. Azad may share many traits of Aamir Khan but here's one that the actor himself has revealed - he cried in movies, just like his father. At the theatres, he little one gets upset to see his father being beaten up onscreen and has to be pacified. "He gets scared when he watches a film of mine. In PK, he saw people hitting me and he started crying and had to be taken out of the screening," Aamir had said in an interview. "Azad has never expressed his desire to act in films. I don't think he has ever seen a full film. He has seen parts of my film here and there but so far he's too small (to watch a full film). I think he has seen some animated films and all that," he added. While school and martial arts classes keep Azad busy outside, this is how he amuses himself at home. Insta Embed Aamir Khan is currently occupied with the shooting schedule of Thugs Of Hindostan. He recently celebrated his 53rd birthday in Mumbai, for which he was granted leave from Jodhpur, where Vijay Krishna Acharya has taken the film's team. Thugs If Hindostan also stars Amitabh Bachchan, Katrina Kaif and Sanya Malhotra and is expected to release on Diwali. Aamir Khan will also be seen in the very ambitious 1,000 crore project Mahabharata, which is currently in a nascent state.